Ruth was my grandmother’s cousin. As far as relatives go, it doesn’t get much more distant than that. I barely knew her. Since she was old and lived alone, I mowed her lawn as a favor to Grandma. A heavy set woman, Ruth would slowly make her way down the steps of her modest trailer to give me a glass of not-so-cold water in an amber-colored plastic cup with no ice. She’d make small talk about the humid weather or something. I would half-listen. I was young and busy, far too cool to give her much time. In fact, as she talked, I’d wonder why old ladies smell like bad perfume and moth balls. When Ruth died, it seems a family line died with her. There was no one else; no children, no grandchildren, no widower, only incredibly distant branches on a family tree, distant like me. 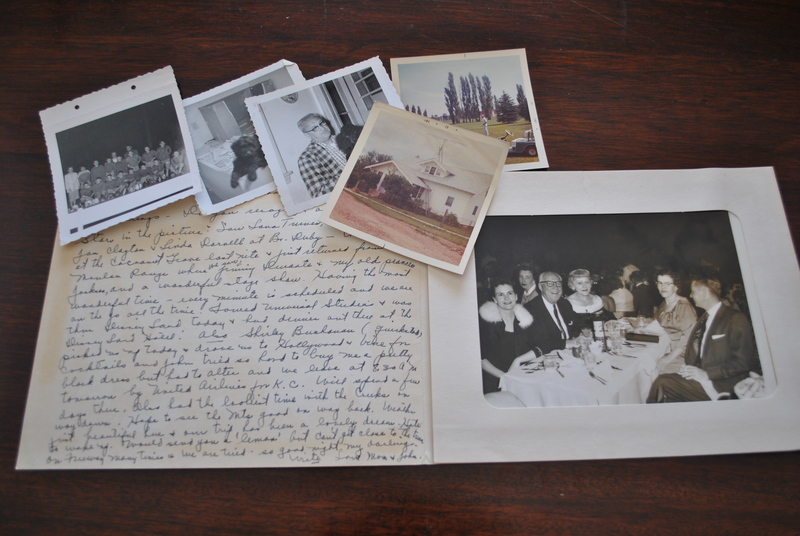 A few days after her death, her house was cleaned out and everything was given away, donated, or tossed out, including pictures of Ruth’s life. At first glance, this seems quite sad. I thought about Ruth when my wife was going through some old pictures recently. 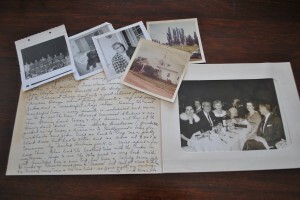 The small pile on the table looked similar to the cigar box in Ruth’s house; black and white photos mixed with those washed out, not-so-crisp colored ones. Polly studied each one, speculating out loud who was who and where they were when the shots were taken. There was an old letter too. The handwriting was difficult to make out, but it was addressed to her mother who passed away many years ago. People in photos. Frozen in time. When I look at their faces, it doesn’t matter if it’s my late friend Al, Grandma’s cousin Ruth, or some random person whose hand-written letter now resides in my closet sixty years after it was written. What I see is hope. What I feel is an overwhelming belief that these people, while currently beyond our view, aren’t done. My heart tells me that a reunion is coming—that still photos, while comforting now, will not be needed when time has no meaning. Tears of sadness are temporarily renting space in our hearts. One day, a love so great will push them aside, replacing them with something I won’t pretend to understand or attempt to describe. A reunion is coming. This is my snapshot of faith.